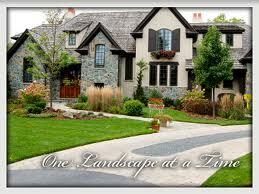 Offering a wide variety of landscape design, build and property maintenance services. Our team is committed to quality in order to set the level of expectation higher today for a better tomorrow. We work with our customers in order to create a design that suits their needs. All landscapes are inspired by you and professionally built by us. Make the most of your outdoor living space. Whether it is a simple lawn cut or a complete new design, we have the expertise to get it done. Design your own paradise with professional landscape construction at A.C. Landscaping & Design. Customer Satisfaction Guaranteed. Serving Windsor-Essex County and Surrounding Areas Since 2006.